Want a brand that gets people talking? I work with SaaS companies, marketing brands, and eCommerce businesses to help them reach their ideal audiences with laser-focused copy and shareable content. In an increasingly “online” world, it’s difficult to stand out and prove your authenticity – that’s where I can help. Let’s break this thing down. Answer me this: are you nodding your head to any of these points? Do you resonate with any of these? Whether you’re a small start-up or an established brand looking to reach a wider audience, I can help you out. 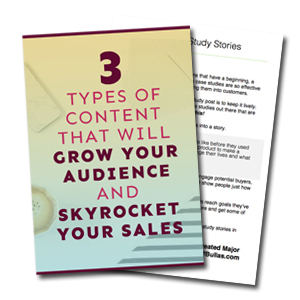 Content is the number one way you can get your audience through your metaphorical doors. It’s how people find you through Google, on social media, and via word of mouth. It’s essentially the gateway to the gold (as in, it’s the gateway that leads customers to your shiny product). I work with brands, businesses, and entrepreneurs to create blog posts that stand out and get shared and email marketing campaigns that convert. I also offer bespoke services, so please do reach out and we can discuss your needs and figure out a strategy that'll work for you and your audience. You know that you should be publishing content. Your competitors are doing it, every marketing “guru” under the sun is telling you to do it. But you don’t have the time, it’s overwhelming, and you don’t even know where to start. Or maybe you’ve been putting content out there, but it’s been met by crickets. I value creativity and collaboration, so I'll work with you every step of the way to ensure everything I write reflects your brand's needs and goals. Take a look at my portfolio to see the kinds of things I've done so far, but please feel free to get in touch if you can't find what you're looking for.